As per my previous post I want to provide some perspective on my design experience and suitability for undertaking this certification, basically I’ve designed, deployed and operationally managed a number of vSphere environments at previous client’s sites during my work at a system integrator. While working as an internal consultant for a specific customer I’ve also designed 2 iterations of their vSphere environment include an initial green-fields deployment and later a brownfields hardware/software technology refresh. Since my transition to the Vendor space I’ve had lots of exposure providing pre-sales design guidance for Hyper-Converged and AFA solutions running Business Critical Applications along with Server/Desktop virtualisation workloads including white boarding sessions, design workshops along with creating proposals, responding to tenders and defending design decisions with clients. With this experience under my belt I went about tackling both VCAP’s as part of an overall strategy to take the journey to VCDX, this has only really been possible thanks to my current employer who supports me in this process. Having now completed the VCAP-DCA on vSphere 5.5 I decided to continued on this track, well all 5.1 VCAP’s have now been retired so this really became my only option (glad I went with the latest version, phew). So with this in mind I decided to press on with the VCAP-DCD and not wait for VCIX as this would give me the option to submit a VCDX design on vSphere 5.5 in 2015. Designing VMware Infrastructure Pluralsight course by Scott Lowe (@scott_lowe), although this content was created by Scott some years back ago, I think the quality of the content has stood the test of time, there are some great sections here on understanding the soft skills required to be an Architect vs an Engineer, how you look at design decisions and how you take requirements and turn them into a conceptual design. VirtualTiers.net – Finally another great resource from Jason, this exam simulator gives you an idea of what the exam experience is like. Even though this is a design exam I did still use the lab to review design configuration and how certain vSphere features are configured for different scenarios. I learnt previously that the best thing to do is determine what timeframe I need to review the blueprint and digest the training material, So after assembled my study material and reviewing specific configuration in my lab, the last step before starting was to go ahead and book the exam, thereby creating myself a deadline of about 8 weeks and making this a priority in my busy life (it’s the only way to tackle this kind of challenge, If I didn’t do this I would probably still be studying now). The Second (first) time I completed the test I failed with 279, I made some classic exam mistakes with regard to my time management, not following my gut feeling with questions and then second guessing myself. I guess I just wasn’t prepared… A disappointing exam performance really. Once you get to the end of the exam and you’ve confidently completed all the design scenarios, use review to visit the remaining questions and complete these, removing them from review. Unlike the DCA the DCD is marked immediately so you receive your result at the end of the exam without waiting. Just a side note, with my VCAP’s completed I also noticed that my VCP expiry date has infact been updated to reflect the date of the last VCAP exam I have taken. 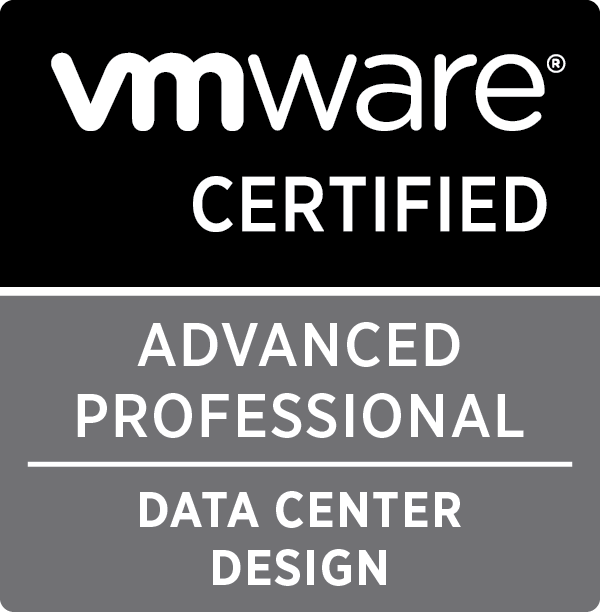 So now I progress onto the next level of certification… the #VCDX, my next step is to review the requirements along with dates for submission, I feel I’m in a position to submit in the next 4 months as I have a design but it needs some review to be ready for VCDX. I’m going to spend some time reviewing this along with current work opportunities to see if I can make this a possibility in 2015. If you are in a similar position and you’re considering VCDX please reach out to me as I would like to share this experience via a study group and the wider community? Yeah after going through the exam 3 times myself and taking with many others who have struggled with the DCD exam I HIGHLY recommend marking all the drag-n-drops for review and just skip them till you have finished all your Design questions. At the end of the exam you get a nice page that shows all the questions you had marked for review that you can return to and work on again. This will give you the best time management as the design questions weight very heavily in the scoring. If you miss some drag-n-drop questions you could be okay, but if you botch or miss a few design questions your percentages of passing are low. Also many of complained about crashing issues on the DCD 5.5 which I haven’t personally experienced however by doing the design questions first you reduce this issue greatly as if the DCD does have an issue it has “ALWAYS” been on the Design questions due to their complexity and what the exam has to mark in the background. This way if you do have any issues with the design questions its early, you get your time extended and your back on the road to completing your DCD with less worries of not completing questions. Great work and good luck on the VCDX! Look forward to seeing you in the 2015 VCDX study group. Some great advice there Jason, thanks again for all your help with contributing to the VCAP-DCD Google+ community and the exam tips! Look forward to studying with you for an October defence! Craig, great work on the exam! Thanks to Jason for his tips, we were privileged to have him with us on the team for a short time. Thanks Jon, and thanks for all your help with the VCAP-DCD exam, there were some up’s and downs along the way but I think the exam is finally in the place it needs to be, well done to you and your team – look forward to seeing what the VCIX looks like!